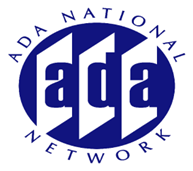 This session will provide a refresher on the requirements in the ADA and ABA Accessibility standard for Hospitals and Long-Term Care facilities. The presenters will provide an in-depth review of the standards and design challenges in long-term care settings, including highlights from recent research. Additionally, strategies for success in the field that both comply with the standard and meet the needs of older adults and their caregivers will be discussed. This is a joint session presented by the Access Board and the AIA Codes and Standards Committee. Session participants are encouraged to submit questions in advance.